Did you catch us in the Sydney Morning Herald this weekend? Did you know that our Aviation Program has had a refresh over the last two years? In 2017 we rolled out the Remotely Piloted Aircraft License (RePL) and this year, the Introduction to Aviation Certificate for Years 7 and 8 commenced. 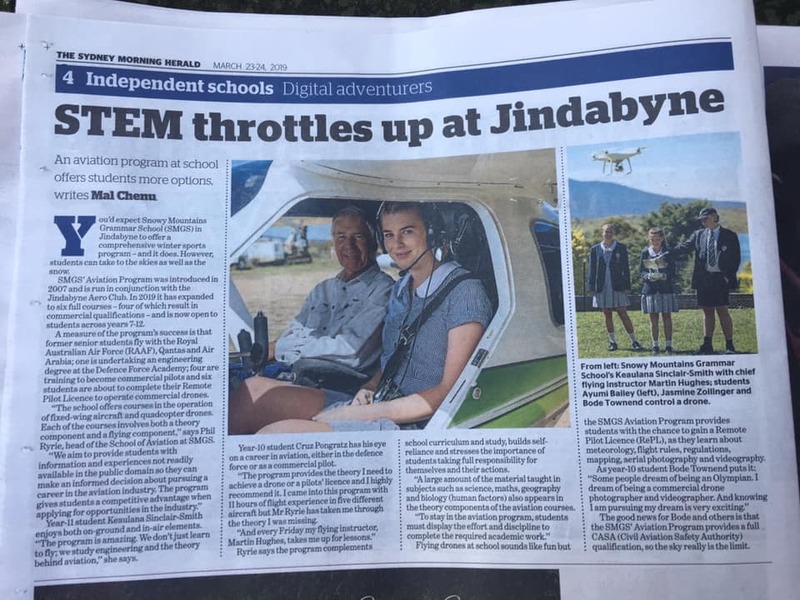 Photos of our Aviation Program students that were published in the SMH on Saturday, 23 March were taken by local photographer 5Willows.